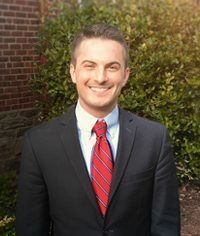 As a lifelong resident of Chester County, Andrew has extensive knowledge of the local real estate market. His work ethic and commercial real estate background are valuable assets to all of his clients. Before joining Pillar Real Estate Advisors, Andrew was a member of the commercial leasing team at Virtus Realty Advisors. While at Virtus, Andrew represented a portfolio in suburban Philadelphia of more than 1.2 million square feet of commercial real estate. Andrew’s focus at Pillar Real Estate Advisors will include Landlord / Tenant representation as well as Investment sales and buyer representation. Andrew graduated from Gettysburg College with degrees in history and business.